Shaleigh says she always loved going to the dentist as a kid, and that the thought of improving people’s overall health and smiles through dentistry seemed very rewarding. 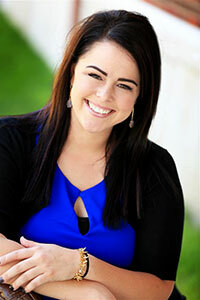 “After shadowing several different dentist’s offices, I knew this was the profession for me! When she’s not presenting patients with options to enhance their smiles, Shaleigh likes to go out riding horses with her dad, or spend the day shopping with her mom. She also supports Smiles for Life and KMOM, and hopes to travel the USA someday.